Helping Hands Willing Hearts from Rita Wiggins on Vimeo. 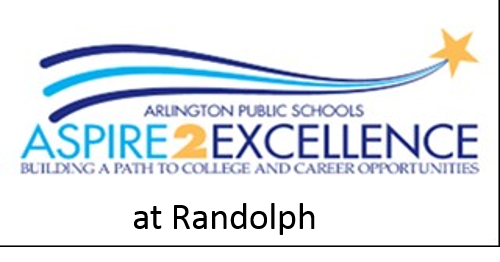 Randolph Elementary School is a neighborhood school implementing the Primary Years Program of the International Baccalaureate (PYP IB). As we approach the end of the 2015-16 school year, Dr. Pat Murphy, Superintendent, and Dr. Kristi Murphy, Assistant Superintendent for Human Resources, will work closely with the Randolph staff and school community to follow a plan for hiring the new principal for Randolph. We would like to gather feedback from staff, students, parents and community regarding the strengths of the school, the most important challenges faced by the school, and the attributes desired in a principal. The survey will be available through July 11. Randolph 4th and 5th graders visit the US Supreme Court. We earned over $12,000 in the Together in Education program this year! Thanks Randolph PTA and Harris Teeter for supporting our school! And thank you, Urath Gibson for being the Randolph staff liaison to the PTA for 12 years! Randolph is now on Twitter. Follow us at RandolphES@RandolphStars.